Brian Chan is a member of the Hook And Vice Crew and is an international fly fishing legend. Brian is know as a pioneer of still water fly fishing has invented some of the most effective fly patterns available. 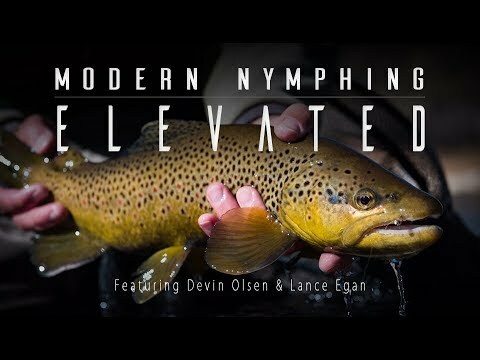 In this short film we get a close look into who Brian is as a person, what he still loves about fishing, and his legacy in the sport of fly fishing. The trout fishing was just insane this past summer starting with our first ever trout opener. We had 4 guests that week have "the best trout fishing of our lives"! We are looking for only 3 more anglers to fill up the last spots for the 2019 season opener. This is trout fishing at its finest using mice, streamers, and dry flies. YES, dry flies and mice!! Something not often associated with Alaska trout fishing. This trip will also include a fly-out to one of the best fishing streams for this time period in the Bristol Bay watershed. Open Season in Patagonia Argentina! This is the time to start your next Fishing Trip wile the winter is coming! Open season I Patagonia Argentina is November 1st and hugh Rainbow Wild and Strong Trot are ready to eat the first flies on the Limay River. Book your dates now!